Disclosure: The products used in this post were provided to me by Erin Condren®. All favorable opinions are my own. 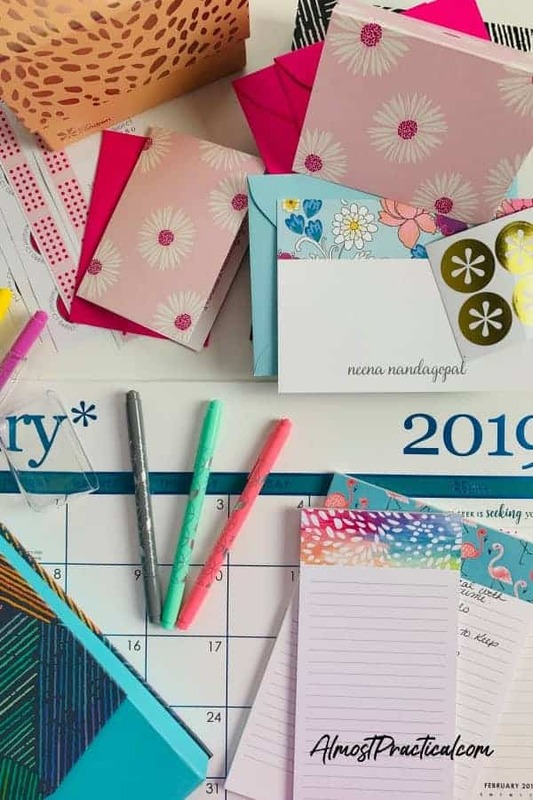 We've all been there – you make big plans for success in January only to have them fizzle out by the time that summer rolls around. Meanwhile, all around you people seem to be celebrating their achievements. I used to tell myself that it didn't really matter. I got things done, just not the things that I really wanted to accomplish. But the reality was that it did matter – to me. It is frustrating when you know that you are more than capable and qualified to achieve even your biggest goals. You just let yourself get sidetracked – even by seemingly meaningful things. This year, I decided that enough is enough. I needed to become more INTENTIONAL with my time. The first step is to set goals, the right way. I think goal setting has become a bit of a buzzword these days – almost to the point that it is meaningless. Goals only work if they make sense in your life. You may have a big, lofty goal for your business, but as time goes by your family, your kids – they all “get in the way” of your ability to work on your business goal. Your family should be a source of joy – not frustration. This means that you need to set a relationship goal alongside your business goal so that you can feel a sense of accomplishment in both areas of your life. and any other area that you want to see progress in throughout the year. Now create your long term vision for each of these areas. Put all of these goals side by side on the desk in front of you and think about whether you can realistically do what you need to do to make them happen, given the time that you have available. Some people at this point will take their yearly goals and break them down into monthly goals – where they want to be at the end of each month. Personally, I prefer to take one month at a time while also looking ahead to the next month. For example, one of my business goals this year is to grow my blog. I created annual income goals and traffic goals as well as a plan of action as to how to make it happen. This includes promotions that I am going to work on as well as outreach and relationship building. Now, you may or may not know that bloggers create an income from many different sources. One of the mistakes that I made in the past was trying to do everything at once. This year I am starting out by focusing on two areas and have set a milestone for myself. When I hit that milestone, I will reassess my plan of action and create the building block towards my annual goal. While my business goals are important, I also have a wonderful husband and four awesome kids that need my time and attention as well. Setting family goals is new to me because I didn't grow up with that. Family was just what you came home to in the evening. But life has become so busy that you need to make that “together” time a goal. And then create a plan of action. This could mean something as big as making fun vacation plans. But it also could be as mundane as a daily or weekly check in for homework help. It might be going to the mall, the grocery store, grabbing a bite to eat, Face Timing a far away relative, or even making a new recipe together. As you can see, for this year I am being much more intentional with the time that I have and how I spend it. It's one thing to have a plan, it's another thing to take action. And the only way to make action happen, is to keep your goals front and center. Which means you need the right planning tools – things that make sense for you. 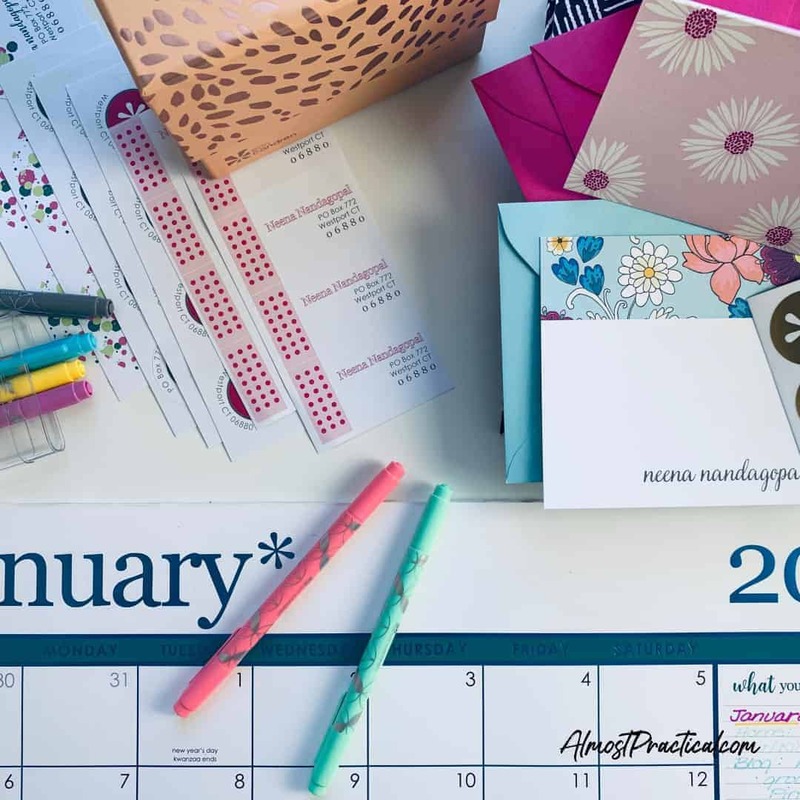 But when it comes to monthly goals, I really like using a desk calendar like this Metallic Monthly Deskpad from Erin Condren. It has space on the right side where I can write my targets for the month. This is key because it is a constant reminder of what I want to accomplish. There are so many times in the day where I have a little bit of downtime. I could spend this snatches of time watching cat videos on Facebook or I could take a quick glance at my desk calendar and use those precious minutes more intentionally. The Metallic Monthly Deskpad also has large empty boxes for each day, so I can list out my daily “non-negotiables”. Whatever goes on the deskpad must get done, no matter what. 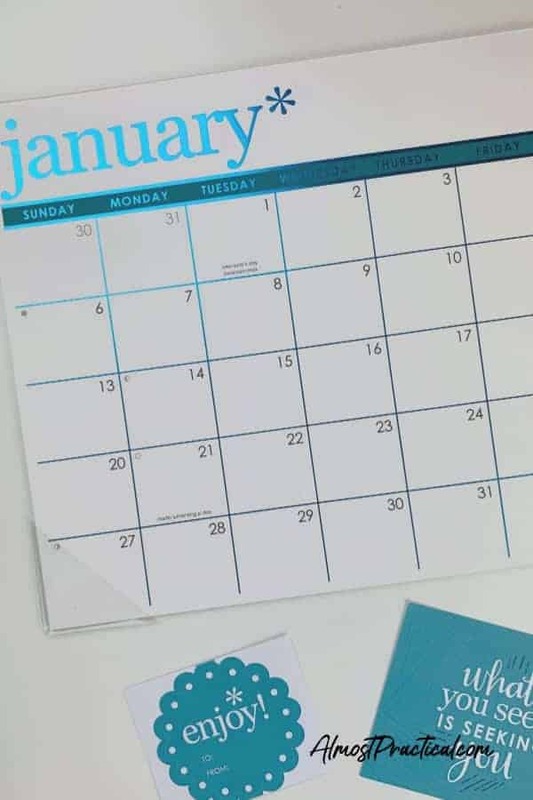 Read more about how to use a desk calendar the “right way” here. Throughout the each day, you will come up with random ideas that can turn into tasks. know where to look when you need to refer to them later. I am using these customizable notepads from Erin Condren. 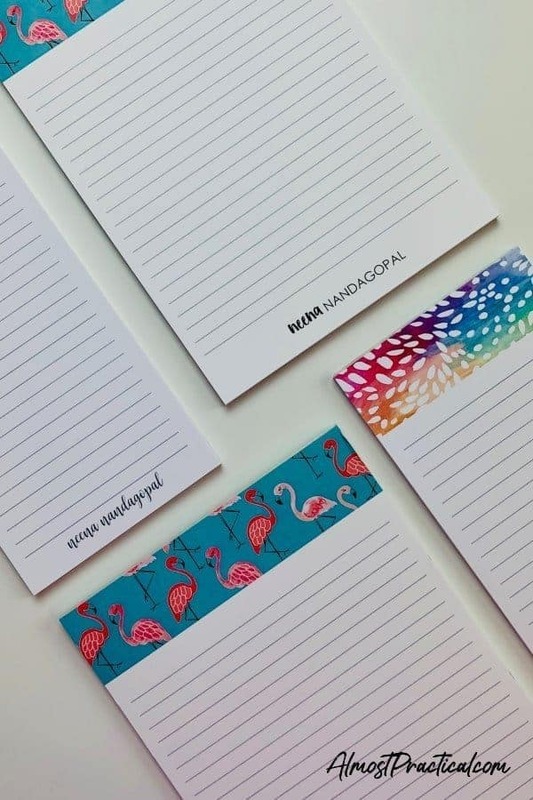 They come in a wide style that is good for notetaking and a narrow style that is great for lists. For me, having something that pretty and fun to write on ensures that I will always reach for that particular pad when I need to write a note. Otherwise, I tend to grab the back of an envelope or receipt, a scrap of paper, or even a napkin to scratch things out. And then I promptly lose the note – of course. One of my goals this year is to focus on strengthening relationships – both for business and personal. 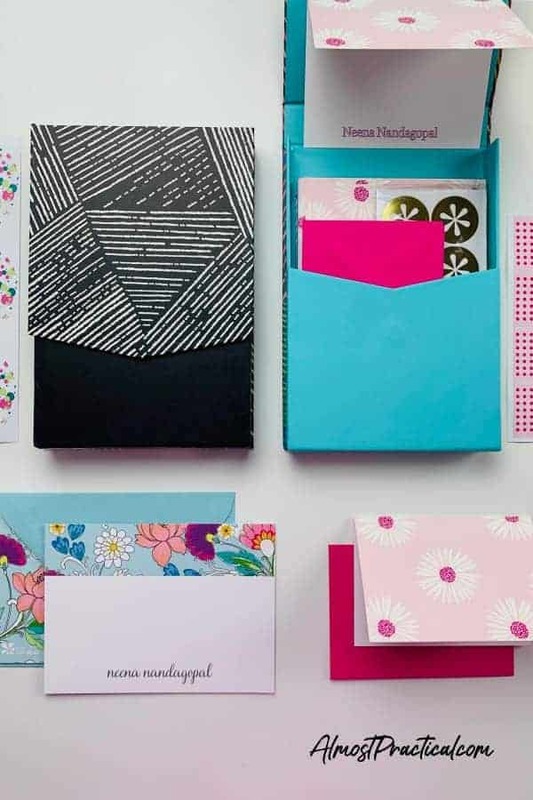 A great way to do this is with handwritten, personalized notes and cards. It is far too easy to shoot off a quick text or email, and these types of communication really aren't that memorable. But a personal note on beautiful stationery – that speaks volumes. It tells the recipient that you not only care, but that you also took the time out of your day to craft a message. 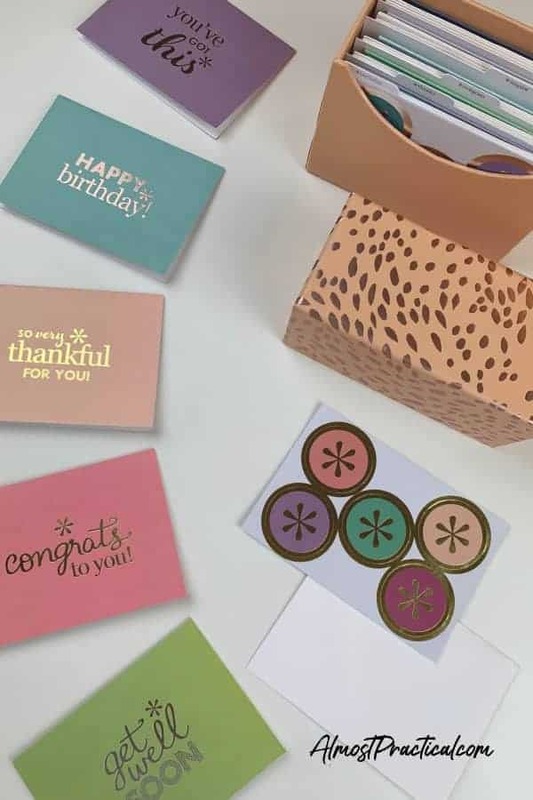 These personalized notecards from Erin Condren come in different styles and a huge variety of customizable patterns. If you are using them for your business you can even incorporate your brand colors into the design that you choose. It is also a nice idea to have a box of gorgeous all occasion cards like this one on hand and at the ready. This way you always have a card to use when an occasion comes up and you don't have to remember to pick one up when you go to the store. Of course, you should finish off your correspondence with flair by including a fun, color coordinated address label on the envelope. It will make your letter stand out from the other pieces of mail in the mailbox. The one thing I absolutely need when doing my planning is a nice set of colored pens. Those pops of color grab my attention which is critical. If everything is written in the same color, I tend to miss things or not see them – even though they are right in front of me. Erin Condren's Colorful Dual-Tip Markers are perfect for this. 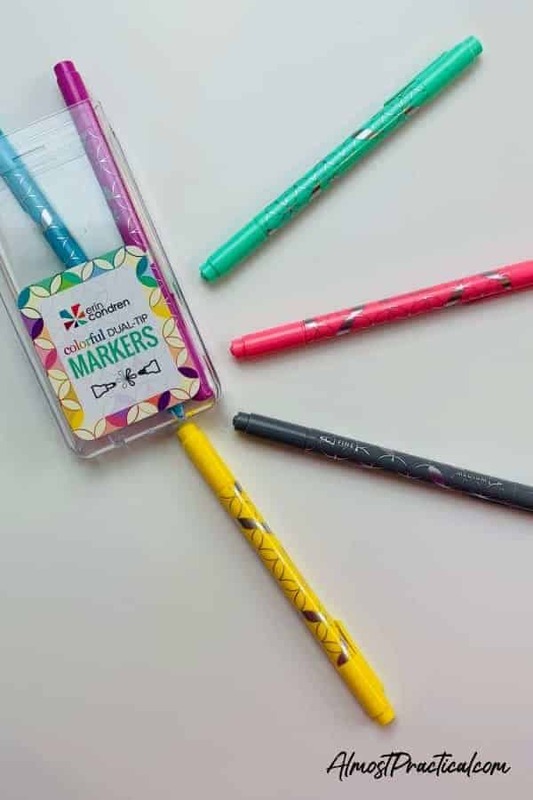 They come in a rainbow of colors, and dual-tip means that each marker has a thin tip on one end and a broad tip on the other. You can create headlines with the thicker end and write the details in a thinner line. When you have the right planning tools in place it is much easier to stay on track with your goals. The next step in being intentional with your time is making sure you track your progress. Your desk calendar is a great place to do this. Measure where you are weekly and note the numbers on your calendar. If your goals is weight loss, take note of your weight. Tracking finances? Note down your savings balance or your debt balances. For my business, I track my traffic and income. If you do this weekly you can see which of your efforts are working and which ones aren't. At the end of every month, take a moment to analyze your data and revise your goals as necessary. This is why I like to have my annual goals but only plan out one month at a time. I can reflect on the past month and see how I feel about the way that I spent my time. Even if I got good results in one area, I may feel that I should have spent more time in another. By tweaking my goals each month, I can find the balance that I need across all the roles in my life. Finally, don't forget to celebrate your accomplishments. There are lots of ways to recognize the work that you have put in. « Tidying Up with Marie Kondo on Netflix – Love It or Hate It?